Five European academy networks (Academia Europaea, ALLEA, EASAC, Euro-CASE, and FEAM) lead the SAPEA project, representing over 100 academies from more than 40 countries across Europe. The organisations cover all scientific disciplines: science, engineering, medicine, humanities, and social sciences. The aggregation of their existing structures enables to futher advance international, transdisciplinary cooperation among academies. As part of these networks, hundreds of Fellows will contribute to the work of Scientific Advice Mechanism (SAM). 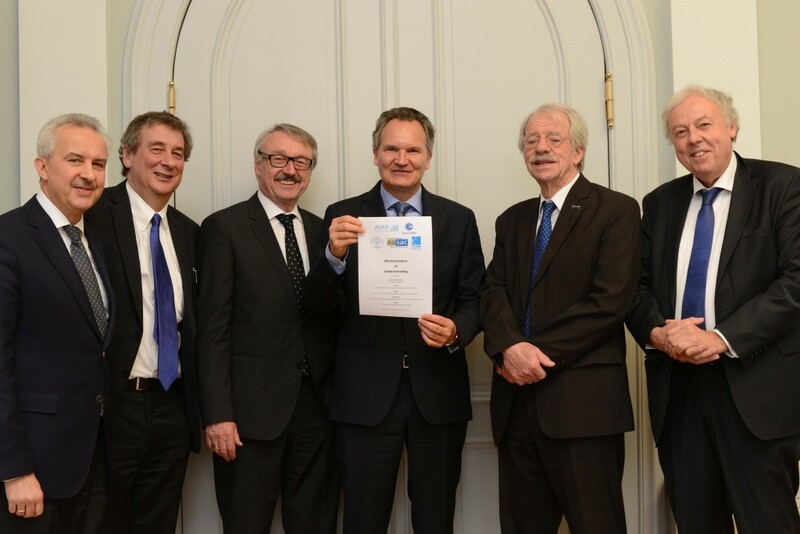 On 26 March 2015, the Presidents of five European academy organisations met in Berlin to sign a Memorandum of Understanding (MoU) to strengthen inter-academy cooperation in Europe. The five academy organisations declare their preparedness to collaborate when this brings added and timely value to their activities, assuring independence of processes and conclusions, and given that the work is supported by adequate additional funding. The Director-General of DG Research and Innovation, Robert-Jan Smits, who attended the meeting, said: “The Commission welcomes that the European academies are joining forces to provide independent scientific expert advice for policy making in numerous fields. The Commission looks forward to continue working with the Academies on this matter in the future”. “part of [the Commission’s] under­taking will be to ensure that Europe’s finest academics can be called upon to offer impartial advice. We cannot even begin to tackle democratic fail­ures, violent radicalisation, or rising intolerance and extremism, without the collective learning, wisdom and foresight of the academic communi­ty. The academies have traditional­ly played an important role in many member states, gladly providing ex­pert opinion to governments as nec­essary and academies will certainly find themselves playing a more and more significant role at European level”.